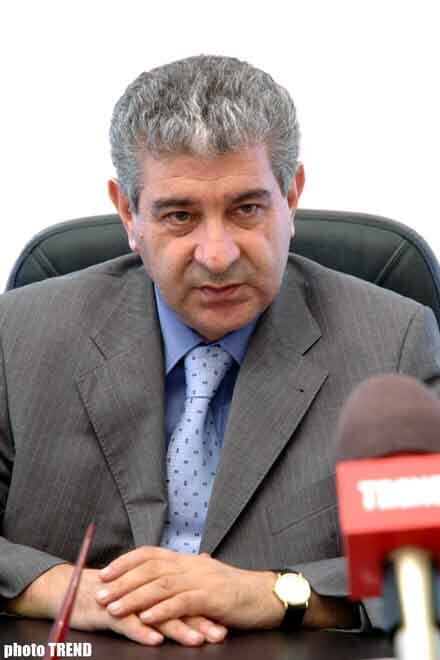 Armenia feels concerns that whenever it will face the fury of Azerbaijan, a country that possesses a strong army, the Deputy Chairman, Executive Secretary of the ruling New Azerbaijan Party (NAP), MP Ali Ahmadov exclusively told Trend, expressing attitude towards the recent statements of the Armenian President and Foreign Minister against Azerbaijan. Senior officials of Armenia stated that if Azerbaijan chooses the way of war in the settlement of Nagorno-Karabakh conflict, official Baku will not remain without response, Armenia will defend the security of the inhabitants of Nagorno-Karabakh. In addition, they stressed that Turkey and Azerbaijan intend to keep Armenia in blockade and touched up on other issues. In addition, Ahmadov underlined that the rapid growth of the capacities of Azerbaijan worries not only Armenia, but also its supporters. If such concerns weren't felt, the same statements weren't made. The increasing of the economical capacities of Azerbaijan is not only an economical fact. It also means the increasing of the political capacities, strengthening of Azerbaijan's position in the world and expansion of the opportunities for Azerbaijan to inform the world public about the realities of Azerbaijan. Naturally the economical capacities of Azerbaijan are transferred to military capacities, Ahmadov underlined. He emphasized that in parallel with the strengthening of the Azerbaijan's economy, its military potential and the budget finances for the military expenditures are increased. Ahmadov pointed out that all these indicators worry occupant Armenia. They feel concerns that whenever Armenia will face the fury of Azerbaijan, a country that possesses a strong army. As regard to the accusations of Armenia, if they wouldn't dread any steps of Azerbaijan, the concerns wouldn't be felt. These features are their character. They try to hide the reality regarding the potential of Azerbaijan, Ahmadov ruled out. Moreover, Ahmadov pointed out that recently one of the French agencies stated that the military budget of Azerbaijan is less than stated by the Azerbaijani Government. I say directly that it serves double goals in itself firstly to decrease the panic feelings emerged in Armenia, and secondly to soothe various forces protecting Armenia, Ahmadov concluded.